Global 6Sigma offers Lean Six Sigma Certification and Training courses in: Six Sigma White Belt, Six Sigma Yellow Belt, Six Sigma Green Belt, Six Sigma Black Belt and Six Sigma Master Black Belt. 6Sigma.com also offers Certification and Training courses in Brisbane, Australia: Lean Six Sigma, Design for Six Sigma, Green Process Management and Minitab. 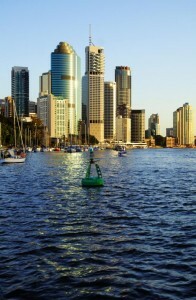 Brisbane is the third most populous city in Australia. Brisbane is also a port city which means that since its birth, it has seen a lot of business and has been a major economic hub. Brisbane also houses the headquarters of several major companies, and as an important part of Australia’s economic growth, many companies work overtime to provide the public with the best services and products so that Australia’s revenue can increase. Six Sigma is a method of quality management and problem solving which is being used in companies all around the world and has been a doctrine which has brought considerable improvements to even Fortune 500 companies. Many businesses have reported record breaking annual results by implementing Lean Six Sigma Green Belt Training throughout their organization. Six Sigma has two detailed methods which have helped many companies bring their services and products to new heights. DMAIC is an acronym for Define, Measure, Analyze, Improve and Control. Define is to make all the requirements of the client and the project known. Measuring the key aspects of the project and collecting relevant data, we then have to analyze it to develop insights. Research what the relationships of the defects or errors are with the project and how it can be improved. Lastly, controlling the path of progress to make sure the problem does not harm the project and making sure that the process is valid throughout the time period without causing any more damage. The other methodology, DMADV, or DFSS (Design for Six Sigma), stands for Define, Measure, Analyze, Design, Verify. The method itself is very simple, in theory at least. Defining and designing the proper goal according to the project is important. Measuring the product capabilities and accompanying risks, we analyze all back-up plans, then design an improved alternative and verify it by implementing it during the production phase. These methodologies are implemented in many companies throughout the world, and are only a part of what Lean Six Sigma Green Belt Training has to offer. The Brisbane unemployment rate is 6.4% and is reported to be the highest in 11 years. To combat this, getting a Lean Six Sigma Green Belt certificate is key in today’s dynamic job market. The average annual salary in Brisbane is AU$ 79,463, but with a Six Sigma certificate, it can go up to AU$224,299 in just a few years, depending on your work and experience. Lean Six Sigma green belt training is being implemented in many companies globally, and if you are already certified then not only will it impress the company but it will also set you apart from the rest as a job candidate who already knows the ins and outs of the company and how productivity in the organization can be enhanced by implementing the principles of Lean Six Sigma green belt correctly. Reserve your retreat at the Brisbane Marriott Hotel and luxuriate in a level of service and quality above and beyond other Brisbane, Australia hotels. Let our guest rooms' gorgeous city skyline or Brisbane River views greet you each day. Elegant marble bathrooms, indulgent bedding, and a choice of rooms, suites and Executive Level accommodations guarantee your stay at the top Brisbane hotel is a relaxing one. Rely on little conveniences, such as wireless Internet access. Business travelers and event planners will especially appreciate our 720 square meters of flexible meeting and event space, complemented by gorgeous natural light and river views. A business centre provides a range of services to keep you connected. Our award-winning Dome Spa Retreat delivers the best spa experience of all hotels in Brisbane. Also onsite are Motion Bar & Grill, a modern restaurant with an open kitchen plan and outdoor seating, and M Bar, a high-style bar. 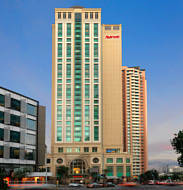 Browse our Brisbane Australia hotel's site, then book your getaway.